SANTA MONICA, CA, August 27, 2012 – KCRW (89.9FM and KCRW.com) will be covering the Republican and Democratic Conventions live from Tampa and Charlotte. To the Point, the signature public affairs show hosted by Warren Olney, will be broadcasting the one-hour show live for the next two weeks starting today, August 27. KCRW producers will also provide on-the-ground reports and will inform listeners what others are saying at the To The Point 2012 Election Coverage page. Additional KCRW 2012 election coverage includes the weekly To the Point segment Red State Blue State which airs every Monday on the show. Host Warren Olney discusses politics and the presidential campaign with Carla Marinucci from the San Francisco Chronicle and Wayne Slater from the Dallas Morning News to hear both sides of the issues. To the Point is a fast-paced, news based one-hour daily national program that focuses on the hot-button issues of the day, co-produced by KCRW and Public Radio International. 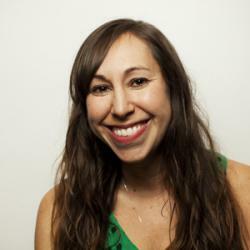 The nationally syndicated show airs live on KCRW 89.9FM and kcrw.com Monday – Friday at 12:00pm. Election season is in full swing and KCRW is presenting a LIVE edition of our civilized, yet provocative radio debate Left, Right & Center. Enjoy witty, irreverent, no-holds barred repartee from our fearless hosts as they tackle today’s headlines, head on. Join us as our hosts ask the question “What’s next?” for the newly elected president. Matt Miller is a weekly columnist for the Washington Post, a Senior Fellow at the Center for American Progress; and a contributor and guest host for MSNBC. He’s author of The Two Percent Solution: Fixing America’s Problems In Ways Both Conservatives and Liberals Can Love and The Tyranny Of Dead Ideas: Revolutionary Thinking for A New Age of Prosperity. Miller served as a White House budget advisor in the Clinton Administration. Robert Scheer is Editor-In-Chief of the award-winning winning politics website, Truthdig.com and a nationally syndicated columnist. Over nearly a half century in journalism, including 3 decades at the Los Angeles Times, Scheer has distinguished himself as a correspondent and columnist. Scheer is a professor at USC’s Annenberg School of Journalism and Communications. He’s authored 9 books, most recently, The Great American Stick-up: How Reagan Republicans and Clinton Democrats Enriched Wall Street While Mugging Main Street. SANTA MONICA, CA., August 26, 2012 – KCRW (89.9FM and KCRW.com) is pleased to announce the final names for the 4th annual Good Food Pie Contest which include television personality Huell Howser who has agreed to be a taste-tester alongside an esteemed panel of palates. A notable Top Chef Triad also joins the group including Top Chef Michael Voltaggio of Ink restaurant, Top Chef Ilan Hall of The Gorbals and Top Chef Masters judge and LAist Food Editor Krista Simmons. Chef Kris Morningstar and Pastry Chef Josh Graves of Ray’s at LACMA and the newly opened Coffee + Milk cafe and bakery also at LACMA round out the list for the star-studded panel. The Good Food Pie-A-Day festivities which include daily pie photos and recipes from renowned pastry chefs, bakers, cookbook writers and listeners on the Good Food blog and will continue in the weeks leading up to the contest which takes place on September 8. 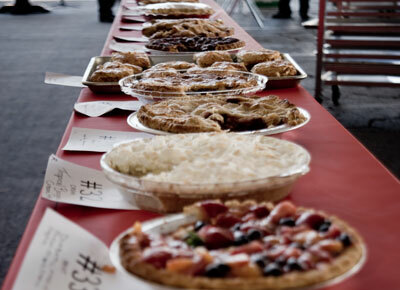 For the second year, the event will take place at LACMA and will feature a special art-themed pie category. This year, bakers can submit pies inspired by Metropolis II by Chris Burden who coincidentally, our own Good Food on the Road host Jonathan Gold, once worked for as a studio assistant. He also shared what he thought a pie in the category might look and taste like in Saturday’s episode of Good Food with Evan Kleiman. In addition to receiving free admission to LACMA for wearing an apron that day, attendees can participate in the apron fashion show which will take place shortly after the festivities kick off. Now in its fourth year, the Good Food Pie Contest started in 2009 when KCRW Good Food Host and Chef Evan Kleiman set out to make pie. As a chef and restaurant owner for over 25 years, Evan finally realized it was time to take on the delicious dessert. That summer, Evan made a pie a day and blogged about it on KCRW’s Good Food Blog. Her passion set off a pie fervor across LA and the Good Food Pie Contest was born. Good Food has since become a platform for all things pie – Evan has interviewed pie experts from across the country on-air and continues to chronicle her pie adventures on the Good Food Blog. SANTA MONICA, CA, August 16, 2012 – KCRW (89.9FM and KCRW.com) is pleased to announce they will again partner with the Los Angeles Regional Food Bank in an effort to fight hunger in the Los Angeles community. After partnering with the organization for their Winter Pledge Drive earlier in the year, the station set an ambitious goal to donate nearly twice as many meals during their Summer Pledge Drive which begins today. When KCRW first partnered with the Los Angeles Regional Food Bank in January, supporters were given the option to donate meals instead of receiving a premium gift. For every $10/month donation to the station during the 9-day drive, 40 meals were in turn donated to the Los Angeles Regional Food Bank. KCRW was able to donate over 80,000 meals during that time. The KCRW fall pledge drive runs through Friday, August 24. To support KCRW please visit www.kcrw.com/join. SANTA MONICA, CA, August 13, 2012 – For one night only, KCRW (89.9FM and KCRW.com) is pleased to present a special edition of The Moth Mainstage. Taking place at the historic Avalon Hollywood, “Carpe Diem: Stories of Our Most Vital Moments” features some of the best storytellers around for an evening of live stories without any notes. Following the performance, KCRW DJs and The Moth storytellers will host an after party at the adjacent Bardot. Top level ticket holders will have a chance to sip complementary beer & wine and chat with The Moth storytellers after the performance. KCRW DJs Chris Douridas and Travis Holcombe will be on the decks each spinning live sets throughout the evening. A limited 5-week run of The Moth Radio Hour began airing yesterday on KCRW and will continue Sunday mornings through September 9. The radio series features the best stories contributed from The Moth with the special episodes beginning with a collaboration with the World Science Festival. A limited number of pre-sale tickets for the The Moth Mainstage event are available for purchase today, Monday, August 13 at the KCRW website. Additional tickets will be released for the December 5 event in the upcoming months. A portion of the ticket price is tax deductible. For more information and to purchase your pre-sale tickets, please visit www.kcrw.com/themothlive. 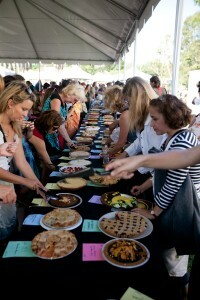 SANTA MONICA, CA, August 11, 2012 – KCRW (89.9FM and KCRW.com) is pleased to announce the second round of judges for the 4th Annual Good Food Pie Contest. Joining the current group of acclaimed food and pastry experts include Karen Hatfield (Co-owner and Pastry Chef – Hatfield’s and Sycamore Kitchen), Shannon Swindle (Pastry Chef de Cuisine – Craft), Dave Lieberman (Writer – OC Weekly), Joy the Baker (Blogger and Cookbook Author) and David LeFevre (Michelin–starred Chef and Co-owner of M.B. Post). Renowned Pasty Chef Sherry Yard has also joined our impressive panel of judges. Yard, who oversees all of the confections at Wolfgang Puck’s restaurant empire, is widely considered an authority on all things sweet. KCRW kicked off with all things pie in early July with the launch of the Good Food Pie-A-Day series on the Good Food blog. The daily posts include pies from Evan, as well as photos and recipes from renowned pastry chefs, bakers, cookbook writers and listeners. KCRW will continue covering pie all summer long on-air with the series culminating at the Good Food Pie Contest at LACMA on September 8th. For the second year, KCRW and Good Food are teaming up with LACMA to host the pie festivities. And, similar to last, a special LACMA inspired pie category will be created. In addition to the traditional Fruit, Nut, Cream/Chiffon/Mousse and Savory categories, contestants can enter pies in to the special Metropolis II category which will take inspiration from Chris Burden’s installation at LACMA. In addition, attendees wearing an apron will also receive free museum admittance to LACMA that day. SANTA MONICA, CA, August 9, 2012 – KCRW (89.9FM and KCRW.com) is pleased to announce the expansion of KCRW Music Mine app for Spotify to 11 new countries: Austria, Belgium, Denmark, Finland, France, Netherlands, Norway, Spain, Sweden, Switzerland, and the UK. KCRW was the first U.S. radio station to launch a music discovery app on the Spotify platform when it was originally released in June. Since then, it’s become one of the top 10 most popular apps on the site. The app is available for installation from within the Spotify desktop client. “The success of Music Mine for Spotify has inspired us to release this music discovery app to a larger international audience. More listeners can now find new music, pre-filtered by KCRW‘s DJs, and create their own Spotify experience,” said Anil Dewan, KCRW’s Director of New Media. The New York Times recently highlighted KCRW’s dedication to utilizing a variety of digital avenues to reach a larger audience, including Spotify. The station’s programming is also available streaming via TuneIn, iHeartRadio, as well as KCRW-created apps for iPhone, Android and Blackberry. The Spotify app is modeled after KCRW’s critically-acclaimed iPad app, also called Music Mine, launched last fall. KCRW Music Mine for Spotifydisplays up to 100 tracks at a time, handpicked by the station’s world famous DJ staff, and updated daily in tandem with our on air playlists. This special format enables time-crunched users to explore Spotify’s offerings from artists that have the KCRW stamp of approval. KCRW 89.9FM, licensed to Santa Monica College, is NPR’s flagship station for Southern California. The Los Angeles-based nonprofit represents cutting edge radio at its best, presenting an eclectic mix of independent music, news, talk and arts programming. The terrestrial signal serves Los Angeles, Orange, Ventura Counties, as well as parts of San Diego, San Bernardino, Kern, and Santa Barbara Counties and the greater Palm Springs area. KCRW’s programming is internationally renowned and available worldwide via KCRW.com, including three streaming channels, 27 podcasts and archives of our locally-produced programs and live band performances. Hear KCRW music online, all the time, on the ALL music stream Eclectic24. On Thursday, August 9, KCRW is celebrating the launch of Sonic Trace at Restaurante Guelaguetza with traditional Oaxaca food, drink and music. The event also marks the official debut of “La Burbuja” or “The Bubble” the winner of the Sonic Trace Design Challenge submitted by Hugo Martinez and Christin To, co-founders of MAT-TER Design + Build Studio. The traveling sound booth, which resembles a silvery orb that opens in sections like a chocolate orange to reveal a womb-like recording space, will visit communities across Los Angeles collecting immigrant stories. A multi-platform story-telling experience, Sonic Trace begins in the heart of Los Angeles and crosses into Mexico, El Salvador, Guatemala and Honduras. Part radio, part video, part mapping project, Sonic Trace asks ¿Por qué te vas? ¿Por qué te quedas? ¿Por qué regresas? Why do you go? Why do you stay? And, what makes you return? Sonic Trace is part of Localore, a national initiative of AIR–Association for Independents in Radio — with principal funding from the Corporation for Public Broadcasting. It is produced in partnership with AIR and Zeega. The broadcast home of Sonic Trace is KCRW’s Independent Producer Project. A very special thanks to the Awesome Foundation for helping us fund La Burbuja.